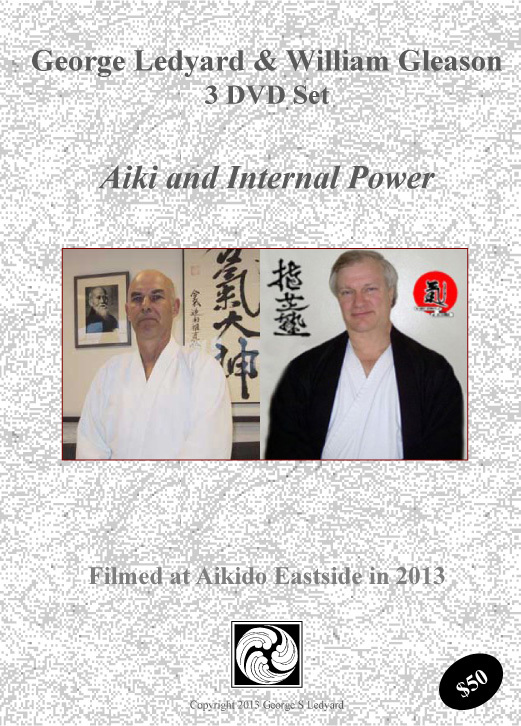 This Aikido video contains over two and a quarter hours of instruction on how Aikido practitioners can use the principle of Kobo Ittai, or “simultaneous offense and defense”, to deal with basic boxing style attacks. 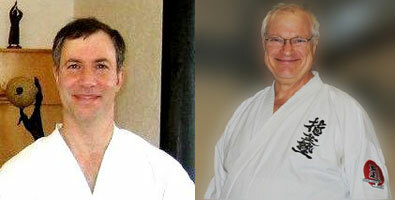 It is based on a set of entries taught to George Ledyard Sensei, Aikido 7th Dan, by his teacher Mitsugi Saotome Shihan. 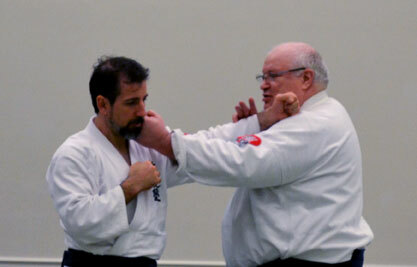 Saotome Shihan taught that every throw you do in Aikido is a strike, or strikes, that you are choosing not to do. 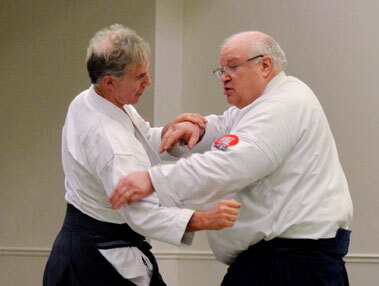 In these entries and the techniques that they set up, the strikes are more overt than in normal Aikido practice. In fact, on these videos, one will see where the strikes are first and the throws are simply an extension of the strikes. 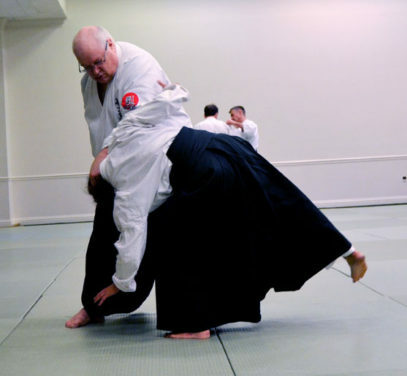 Another aspect of applied Aikido technique as taught by Saotome Shihan is the use of the lower body for leg sweeps and kicks, something not often emphasized in main stream Aikido. This video covers five different entries and also shows four to five techniques that flow naturally from each entry. For students of Aikido who are interested in applied self defense and the ability to execute Aikido technique against non-traditional attacks, this title should be a great basic start. This video is available as a download only in .mp4 format. It is not available in DVD form. Please use a download manager for best results. These are very large files which should look good on a widescreen TV. If you wish to have smaller files for your portable devices. We recommend one of these free video conversion programs to customize your video files for your specific usage.